There are fewer and fewer people who haven’t heard of cryptocurrency trading, but most of those who have just come across this technology (and it’s safe to say it is high-tech) are familiar only with the first implemented example, Bitcoin. 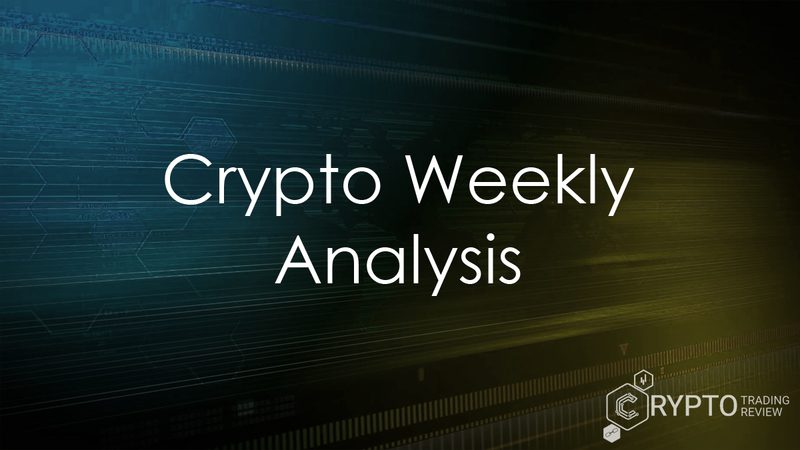 However, there’s a plethora of other cyptocurrencies you can invest in, with one currently being especially interesting in the cryptocurrency market. Originally named ‘XCoin’ or ‘XCO’ and released in 2014, it wasn’t long until the name was changed to ‘Darkcoin’. But the founders soon realised the name was getting in the way of their mission, so they went with a less sinister option, one that tells exactly what Dash wants to become and stay – digital cash. Created from Bitcoin’s original code, it is designed to make transactions not only cheaper and faster, but completely private. Equipped with faster block rates, large blocks and superusers, here comes Dash! Like other cryptocurrencies, Dash uses blockchain technology to offer money as a service, but with several innovations that set it apart from its competition. Being a fork of Bitcoin, it takes pretty much the same feature set and upgrades it – besides offering the possibility of private and instant transactions, it takes its organization one step further and closer to mass implementation. This is possible due to its governing and funding model, which will be explained in more detail later on. For now, it is important to know that the network operates in a way that allows paying for value-adding work by third parties, in a self-sustaining way. The key features of Dash, the ones that make it so special, are made possible by its two-tier structure, and this has to do with something called masternodes, so read on. Dash formed a DAO, which stands for ‘decentralized autonomous organization’, so that it can fund its miners and save leftovers in a kind of treasury. The Core Team, consisting of full-time and part-time employees, as well as volunteers, is paid from this budget system. Therefore, it does not depend on any external sponsorships or donations. Their jobs revolve around developing the currency. One other thing this DAO funds are the masternodes, and their basic role is pretty much self-explanatory. Or is it? Masternodes are like ordinary nodes, but with one distinction that makes all the difference – they are in possession of 1000 coins. A masternode becomes one by confirming ownership over 1000 coins, and its role is to cast votes in order to make decisions on the Dash network. It’s like having a savings account with a minimum deposit or collateral, only the deposit is in Dash and it actually never leaves your possesion. The user can move or spend it at any time, but must remember that this means removing their masternode from service. You’re probably wondering why you’d want a masternode, and what they actually do. Let’s clear this up with an analogy – you open a traditional savings account in order to get the interest. Things are not much different in Dash world, only the interest is the reward – the result of performing a job or service for the network. This is a big difference in relation to most of the cryptocurrencies based on blockchain technology, where all jobs on the network are done by miners. Utilizing a two-tier network, Dash made it possible for miners to handle creating new blocks and masternodes to have other assignments. But before we get into those, let’s talk about the $1,000 Dash coins collateral. It is necessary for several reasons, one of them being the prevention of ‘sybil attacks’, a specific type of security threat, made by a node claiming multiple identities. Being such an important infrastructure part of a network needs some sort of insurance – they’re decision-making computers that run a big wallet, and keeping their collateral makes for an additional incentive. You think there is only one way to get paid for contributing to cryptocurrency networks – mining or generating the blockchain? Wrong! Well, at least that’s the case with this cryptocurrency: unlike mining, where one must constantly upgrade one’s hardware to remain competitive, here you can get a masternode, and once you have one you are on the paying docket indefinitely. Masternodes function as proof-of-service ‘miners’. They serve several functions: as servers for instant and private transactions (more on those later), and the governance system. While a node is a computer that secures the Dash blockchain by coin mining, a masternode does it by performing specialized transactions. This system is called PoS (proof-of-service), due to the fact that the masternodes provide crucial service to the Dash network. For example, masternodes are allowed to reject blocks from miners, if they’re improperly formed, and stop them from being added to the blockchain. In Dash, the (new) block reward is split: miners and masternodes each get 45%, and the rest goes to a kind of treasury. Almost half of a block reward without even mining? You just need to freeze a 1,000 coins, which would now be around a million $, and you’re in. Considering the annual rate of return is over 10%, masternodes are becoming a more attractive investment option for those who would like bigger returns within the cryptocurrency space, so we’ll cover the basics of what you need. Basically, a computer (yes, and a 1,000 Dash). For hosting, there are three options: you can do it from home – any laptop or desktop computer should be fine, but you can also use something like Raspberry Pi or an ODROID-XU4 platform, through any VPS. What’s left is using the (probably) easiest option – a masternode specific hosting provider. There are four of them to choose from, ranging from $7 a month to $22. In short – masternodes relay transactions across the network, enable features called PrivateSend and InstantSend and are an important part of the decentralized governance system based on casting votes on budget funding. They need to be able to run 24/7 without more than an hour connection loss. With a current ROI of about 15%, a masternode can earn more than 150 Dash a year! Two functionalities set Dash apart from other blockchains – InstantSend and PrivateSend – and they are regulated by masternodes. As you already know, transaction confirmation in terms of blockchain is, in fact, the next block containing the information about it. Since new blocks or updates come one every X minutes, this leaves a lot of time for issues to appear. So Dash’s Masternodes provide you with an irreversible transaction confirmation within almost a second. Even though there are more than one cryptocurrencies offering this type of speed, with Dash coin these transactions are at once locked down. When using this coin, the issue of double spending is solved by a feature called InstantSend (FKA InstantX), which bars the amount of money sent without waiting for a confirmation. What does this look like for the user? Just select the InstantSend box in your wallet when sending coins and your transaction is done and will become irreversible in seconds. The introduction of Bitcoin sparked the revolution some were waiting for – (a kind of) money is now government-free, and its value is determined by the market. We can exchange value across the globe in a cheap and completely decentralized way, without depending on a third party. But this was just the beginning – and with many developers exploring the possibilities of digital cash, one of them, Evan Duffield, created Dash. The name means ‘digital cash’, and its mission revolves around finding a way for technology to replicate all the features of physical cash. One of them is privacy. Of course, privacy-focused cryptocurrencies aren’t new and aren’t limited to Dash (read up on Monero, for example), but this one offers privacy in such a way that it doesn’t have to sacrifice other aspects, mainly speed and price. Dash creators recognized the need for keeping our stuff to ourselves. While one of the reasons for this is simply not being able to pry into others’ financial transactions (which violates their privacy and opens a way for manipulation), another would be something called ‘fungibility’. This basically means: a currency is ‘fungible‘ when its every unit is worth exactly the same as any other. This is done by swapping coins among users and therefore breaking their traceable history on the Dash blockchain, and its enabled by masternodes. Unlike other coins that are focused exclusively on privacy, it keeps a balance between privacy and user experience. For example, the PrivateSend feature runs perfectly fine on mobile devices. This is another hint at Dash’s aim at mass adoption rather than targeting a specific market, such as users focused entirely on getting the most private transactions possible. Remember Darkcoin, Dash’s original name? The ‘dark’ was supposed to reflect this very thing, a new digital coin that solved the anonymity problem. Soon Darkcoin achieved one of the highest market capitalizations of any digital currency – and proved our need for privacy. Let’s now review the core features we talked about: InstantSend (FKA InstantX) allows these coins to be sent instantly across the network, and PrivateSend (FKA DarkSend) allows untraceable transactions. Do you really need more? Masternodes cast votes on how Dash’s monthly budget will be allocated and thus have a lot of influence on the future of the currency itself. However, it’s important to note that this budget (a sort of a treasury) can get pretty high in terms of size, in order to fund all those Dash projects. Again, it is funded by reserving 10% of each block reward, and currently Dash operates with a monthly budget of $8 million – probably the largest in terms of cryptocurrencies, and completely self-governed. This is enough to finance a pretty large team of developers while allowing for planning and implementing simultaneous projects (see for example Alt36’s point-of-sale integration). What about the thing everyone fights about on crypto forums, scalability? Well, Dash decided on an on-chain scaling solution and recently activated larger, 2MB blocks (with a plan to move to 1GB superblocks). If you needed another reason for why the masternodes receive 45% of the block rewards without actually mining, here’s one: thousands of masternodes each have a complete copy of the blockchain and are compensated for other services. Given Dash’ current prices, those block rewards are pretty big, and masternode owners can afford to invest in expensive VPS servers, carrying a lot of storage capacity and high bandwidth. You know, those that can support 2MB blocks, and if Dash is really going into bigger blocks and larger networks, even better custom hardware will have to come into play. And last but not least – it’s cheap! Most transaction fees are worth just a few cents, considerably cheaper than most services and even cryptocurrencies, and they stay that way globally and regardless of Dash price spikes. For those who are interested in Dash coin mining (or can’t get their hands on 1,000 pieces), the following should help you get on your way. As is the case with all cryptocurrencies, this one is based on blockchain technology, a fancy word for a digital ledger of all the transactions that ever took place – and it’s decentralized. This last part is extremely important since it allows for each member computer (or node) to have all the information and to be able to influence decision-making in equal terms. The foundation of Dash is its blockchain, secured through a consensus mechanism called “Proof of Work” (PoW). Through a process called “mining,” people use specialized computers to solve extremely difficult math problems. If their solution is correct, they receive the right to add a new block to the blockchain. Once the network verifies that the problem was correctly solved, a new block is added to the blockchain and the miner is rewarded with Dash currency. Note: these are the ‘traditional’ Proof-of-Work rewards for mining, and shouldn’t be mistaken for Proof-of-Service, the reward system used for masternodes, who provide special services. But you already know Dash works a little differently – due to the second tier (masternodes) being so important, they share in on the reward when miners create new blocks. You remember the 45/45/10 percentage breakdown, which means Dash mining gets you 45% of the reward. So, miners power the first tier, which does what it does everywhere – prevent doublespending and ensure basic transactions. It’s important to note that masternodes don’t mine new coins. Also, mining computers can’t be used as masternodes. We’re not going to describe the mining process into detail, but we do need to cover some ground information like necessary equipment and mining pools. Mining pools allow for aggregated miner power and sharing bigger rewards. A stable and scalable architecture, it deters attacks, since PoWs are expensive in terms of computing resources. Miners are constantly trying to generate blocks in order to win the reward, so the system must automatically adjust the difficulty. This is done to ensure that only one block is added to the blockchain every 10 minutes, meaning that each miner can generate a block only so often. And this is where the mining pools come into play – all of the members can mine concurrently and share the reward whenever a block is created by either of them. Coins such as Dash are mostly mined with ASIC Miners, which stands for Application Specific Integrated Circuits, hundreds of times more powerful than GPU rigs. These machines are designed to do just one thing – mine the algorithm. They are also pretty expensive, and mining is definitely a long-term gig in terms of profit. They continue to bring more mined coins for many months, which is the main reason people get into mining over simply buying coins. Increased coin value can compensate for profitability drops, and this is something this coin has – the value of Dash has been steadily increasing. Its X11 algorithm is miner-friendly, which also provides better ROI. Since ASIC’s are designed specifically to do this job, they have the highest hash rates, as well as low power consumption. On the other hand, Dash coin mining is probably profitable on a larger scale. 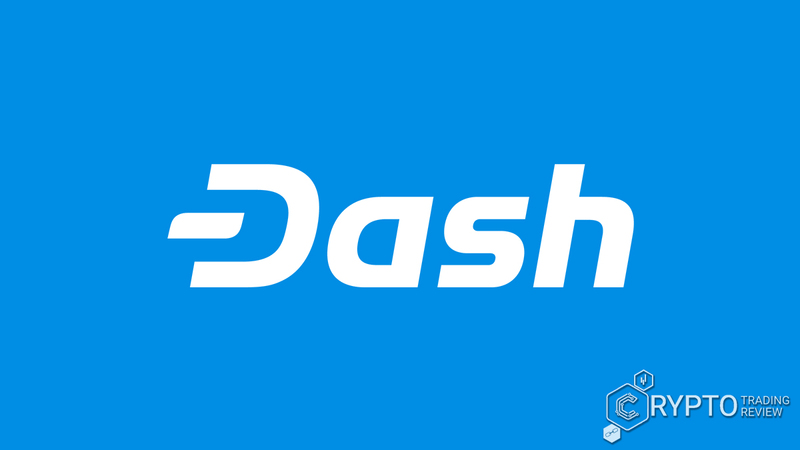 Dash’s X11 mining algorithm (created by Dash founder and lead developer Evan Duffield) was intended for making Dash mining easier by decentralizing hash power. Utilizing a sequence of eleven hashing algorithms for PoW, X11 has something we call a chained algorithm, unlike using a single mining algorithm (think SHA-256 or Scrypt). It’s designed to increase the decentralization of the currency and make ASIC’s especially difficult to develop. Basically, it’s algorithm is relatively easy to mine, without using too much electricity. Moreover, all of the benefits of Dash we’ve covered so far – the anonymity, instant confirmations, and very low fees, contribute to its increasing value, and of course, its mining profitability and ROI. In order to start Dash coin mining, you’ll need a Wallet to store all of the coins you mine. You do that with a Sgminer, a program; after configuring it, you just need to find a mining pool that works for you, or start on your own. Dash’s official webpage recommends the following pools: Supernova, CoinMine, zpool and MinerGate. The price went up 8,000% last year and by the end of 2017, it had breached the $1,000 barrier (a surge in price from $11.26 to about $1,206 in less than one year). Its coin emission rate actually decreases by 7,1% a year. This puts a coin cap at around 20 million, meaning the emissions will become zero when 20 million new coins have been created. However, there are two important variables that affect coin emission rate. First, the block reward is dynamic and can change depending on certain parameters more or less. The monthly superblock, or the treasury, is not always paid out entirely. The available changing supply of mining rewards as part of Dash’s block reward is designed to ensure that the network never drops below 79 GigaHash/sec, to prevent the block reward to increase or decrease too much, in order to attract more new miners and not overpay the hashes. We can think of it more like digital gold than digital currency – due to the existing coin cap. Dash price growth is due to a variety of reasons, some of which could definitely be attributed to the transaction mixer (tumbler) built into its protocol, low transaction fees, use of masternodes and/or fast confirmation. Investors are becoming more and more convinced in digital assets, especially in the possibility of mass adoption with Dash’s Evolution update, aiming for more scalability. The coin is deflationary oriented, which means that it isn’t inflated through ‘printing’ coins, and has a coin supply. This, divided by the market capitalisation determines a coin’s value. Since the upper coin limit is set, this is good news for investors: they know that owning 1 coin means owning 1 of a fixed set. This is much different than most national currencies, where the base is continually inflating. During the early months of 2017, Dash price has seen a huge spike, and its value continued to grow. It remains to be seen if this will stay this way, but Dash’s community focus on the users is very promising in this regard. A recent Dash upgrade (version 12.2.) brought 2MB blocks, changes in security and speed, as well as new wallets and a tenfold transaction fee reduction. The announced project, Dash Evolution, is due to launch in the summer of 2018. All of these steps are likely to be more and more attractive to potential investors. We talk about the internal factors driving the price up, while external factors such as investment strategies are discussed elsewhere. By internal we mean those related to the overall business strategy and development of Dash. For instance, Dash community and governance system signal a clear goal-orientation with the infrastructure to support it, which is something investors like. The same goes for it’s potential to create value beyond privacy (where it all started). For example, the decision on scaling, specifically introducing bigger blocks, was made with an on-chain vote, in a fast and democratic way. This way people can submit their proposals for any project they feel would benefit the network – and get paid in Dash if it’s accepted. So far, it seems that this incentive structure works very well with developers. Recently Evan Duffield handed over Core team leadership to the current CEO, (an experienced hedge fund guy), Ryan Taylor, and founded something called Dash Labs – an organization researching scaling and custom hardware. Dash partnered up with Arizona State University in researching ways to improve Dash. This was funded by masternodes, without any external sponsorship. Currently, the core team is working on Dash Evolution, its next iteration. Remember the first step in Dash coin mining? The same goes for buying or investing in these coins: you need to get a cryptocurrency wallet. For Dash wallet, you have several options – desktop, mobile, hardware or paper. In all of these cases, the Dash wallet is where you receive and store your coins. An official desktop wallet is offered by Dash, which includes PrivateSend and InstantSend functionalities. Jaxx is the most popular mobile choice, and supports both iOS and Android, while Coinomi and Hash Engineering make Dash mobile wallets exclusively for Android. iPhone users can choose between Dash Core and DashWallet c.0.9. You can also store your coins on hardware wallets, such as Ledger or TREZOR. If you’re not interested in investing in this type of gadgets or apps, good ol’ paper works just fine: just write down your public and private keys – you know, those encrypted alphanumeric adresses that allow transactions in the first place. Now you’ve got your Dash Wallet and you can go for mining coins or buying them. There are two main ways to buy Dash: you can directly trade it with bitcoin, or use a fiat currency. The bitcoin option is much easier, so if you already own this cryptocurrency, just move it to a cryptocurrency exchange and trade it. Some of the more popular ones that allow for Dash trading are Kraken, ShapeShift, Bittrex and Bitfinex. Now, there aren’t a lot of platforms that allow buying Dash with a fiat currency. Actually, there are two, named Kraken and BitPanda (available only in Europe). It allows buying coins using your credit card, Skrill account, SEPA or SOFORT transfer, requires verification and has low buying limits – around 600 euros. Kraken, on the other hand, allows you to chose between wire-transfer funding your account with USD or euros and buying Dash directly. There are also Dash’s partner cryptocurrency services, such as CryptoCapital or Coinapult, where you can sign up to buy these coins. Take CEX.io for example – while it doesn’t allow buying Dash through their brokerage service, you can use the exchange to deposit money. European customers have another great way to purchase coins directly through a SEPA transfer, through a website called AnyCoinDirect, the biggest European cryptocurrency exchange with relatively low fees and short waiting period – it takes two days to receive Dash. Dash ATM’s exist only in three US locations (Oregon, Florida and New York), with pretty high fees. A better way is through WallofCoins: you deposit cash at a local bank in many countries like the United States (available in Germany, Latvia and Poland, for European users), which offer escrow service. The final step includes transferring Dash to your wallet. Leaving the coins on the cryptocurrency exchange could lead to them being stolen through hacking, so it should be avoided. 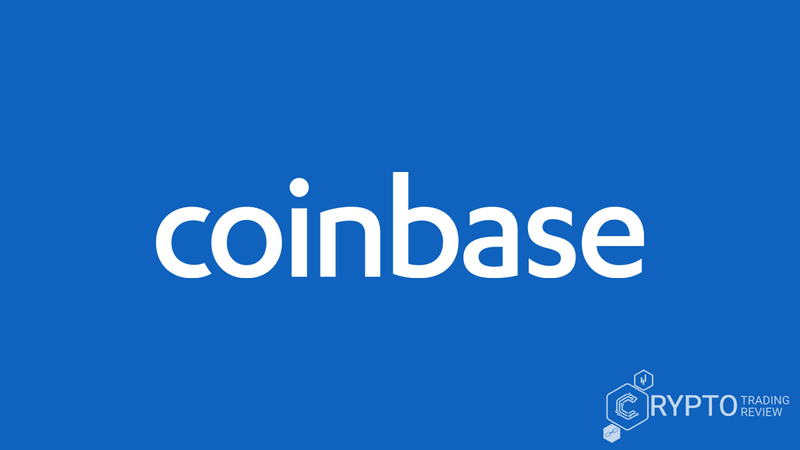 And here’s a word of advice – for larger amounts of coins it is best to rely on a hardware wallet, since it’s the most secure way for using and storing Dash, especially for a longer time period. Unfortunately, hardware wallets don’t support features such as InstantSend and PrivateSend, so they are not the best choice if you want full-scale functionality. Your best bet, in this case, is Dash Core wallet, which is available for Windows, Mac and Linux operating systems. You officially own Dash the moment the coin(s) reach your wallet. You can transfer your coins to prepaid debit cards and spend the money wherever those are accepted. Still, this coin is traded primarily as an investment, similarly to bitcoin (in July 2017 Dash’s average transaction size was above $10,000). Cryptocurrencies made investing itself more popular (and fun), but is being recognized as a great opportunity even by more careful and skeptical investors. ‘Careful and sceptical’ mostly means investors such as serious businesses, and this could, in the long term, mean more regulation for the crypto market. In this case, Dash is at an advantage – despite its price volatility, its privacy features, scalability, and its unique formal governance system make it a worthwhile investment. With extraordinary rises in price, all eyes are on this coin. Its developers aim for user experience, so Dash Evolution should include more integration with apps and web stores, recurring payments, usernames, ‘clear transaction history’ option, easier payments, and could even give PayPal a run for their money. Its unique self-funding structure, as well as it’s two-tiered structure allow the network to do a lot more than ensure anonymity and speed. They make this a project worth following. With the Evolution on its way, it remains to be seen just how fast and far digital cash can go – and we’ll keep you on track with all the latest news and recommendations. Still at somewhat low buy-in price, but with a strong business ecosystem, Dash could very well be a game-changer, if it isn’t already. And if you want to trade it, all you have to do is find the right exchange through our website.